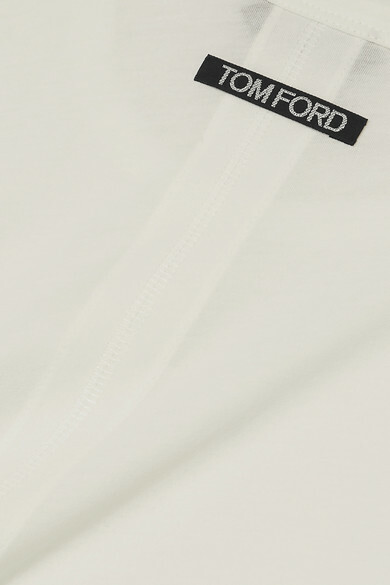 TOM FORD's T-shirt is the kind you buy, wear and immediately want to stock up on. 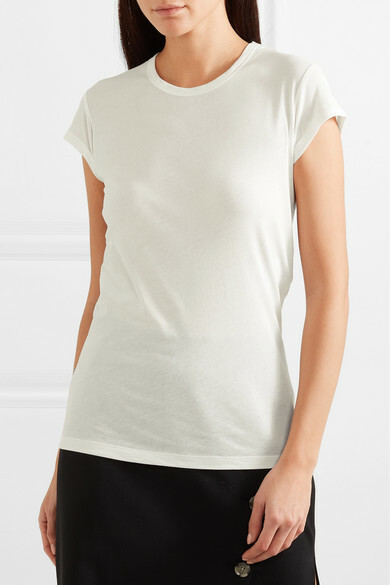 Made in Italy, it's cut from whisper-weight cotton-jersey in a versatile off-white hue. 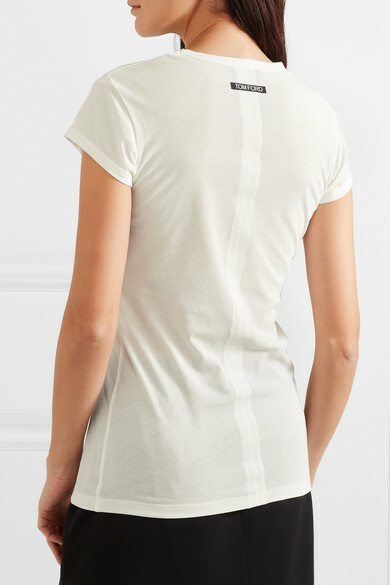 Take a look at the back and you'll see a flattened seam detail along with the designer's moniker. Style it with jeans and add a spritz or two of perfume from the label's iconic beauty line. Shown here with: Altuzarra Skirt, Altuzarra Blazer, TOM FORD Shoulder bag, Saint Laurent Pumps.